From the New Orleans Arena to the Cotton Mill, this pictorial compilation of contemporary architecture highlights eighty of the best projects completed during the past fifteen years. Entries provide the name of the architect or firm and the year that the establishment was created. In addition to offering the history of the building, detailed descriptions cover the unique architectural components. Sections cover office and commercial buildings, schools and university facilities, and dwellings. Though the buildings vary in design—some posses an elegant, modern ambiance while others boast dramatic flair—each structure incorporates the key elements and familiar forms of stellar architecture. This collection features such establishments as the Port of New Orleans Office Building, Tchoupitoulas Studios, McWilliams Hall at Tulane University, and the Ogden Museum of Southern Art. 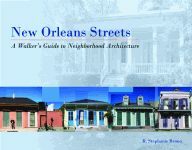 Full of more than 550 photographs, New in New Orleans Architecture also contains an index of architects and location maps for the featured projects. Readers will discover the vocabulary of architectural discourse, along with the necessary criteria for assessing a work of architecture and its significance. John P. Klingman holds the Richard Koch Chair in Architecture at Tulane University. 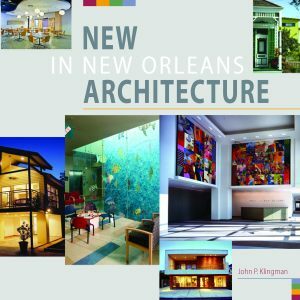 In addition to authoring books on the subject of architecture, he writes an annual “Best of New Orleans Architecture” article for New Orleans Magazine. 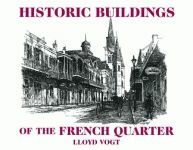 He is a chairman of the Architectural Review Committee of the New Orleans Historic District Landmarks Commission. In addition to receiving the Tulane School of Architecture annual teaching award six times, he was honored with the President’s Award for Outstanding Teaching—Tulane’s highest honor. He lives in New Orleans, Louisiana. In this illustrated account, a Tulane University architecture professor examines the new buildings that have sprung up amid the cityâ€™s historic fabric.